Annmarie Skin Care > Skin Care Tips > How Should I Be Taking Care Of My Skin In My 30s? The transition between your 20s and your 30s involves a lot of change, to include starting to see some significant differences in your skin. Fine lines and wrinkles start to surface (particularly expression lines around eyes and mouth) due to a decrease in collagen and elastin, and skin cells produce and shed at a slower rate — thus making your skin look more lackluster than normal. When you’re younger, the turnover is around 20 days whereas it extends to 30 days or more as you age. Discoloration also starts to play a role in your 30s. Enzymatically active melanocytes decrease at a rate of 8% to 20% per decade, resulting in uneven pigmentation. However, that’s not the only cause for age spots. Hormones also play a role, especially if you’re pregnant. Along with a drier and rougher complexion (the baby needs those nutrients, after all), many women experience melasma — otherwise known as pregnancy mask — which appears as several brown patches that typically surface on the forehead, cheeks, and chin. Though you can’t reverse age-related skin changes caused by Father Time, you can take preventative measures that can help slow the aging process. While anti-aging efforts should have started in your 20s, this is a wonderful time to start a good routine for your 30s and beyond. Here’s how to take care of your skin in your 30s. Did you know that up to 90% of UV rays can pass through clouds on a non-sunny day? With that in mind, you still have to protect your skin by wearing a broad-spectrum sunscreen with an SPF of 30 percent or higher, lest you put yourself at risk for bringing out more age spots, fine lines, and wrinkles. Don’t forget overlooked areas such as your neck, decollete, and hands. SPF just might be the most effective anti-aging product you can wear. 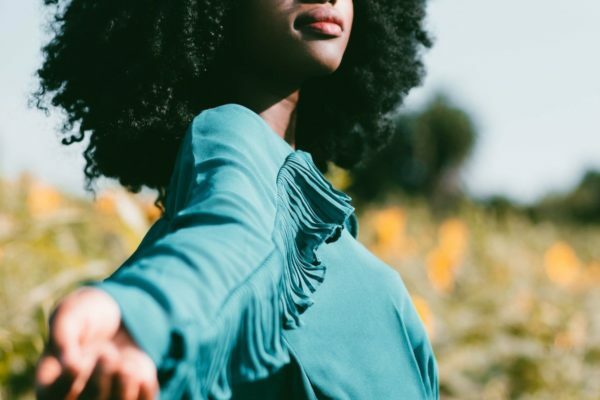 While you should have already been adhering to a solid skin care routine in your 20s, late nights, school stress, and newfound job angst may have prompted you to slack now and then. Now that you’re in your 30s, it’s time to get serious and up the ante by including anti-aging products into your regimen. Choose products with powerhouse ingredients such as vitamin C, tea extracts, retinol, coenzyme Q10, and peptides to protect your skin from environmental stressors, plump and soften your look, and keep skin looking firm and tight. Along with key products such as a cleanser, moisturizer, and eye cream/serum, you should also be using a serum at this stage in your life. 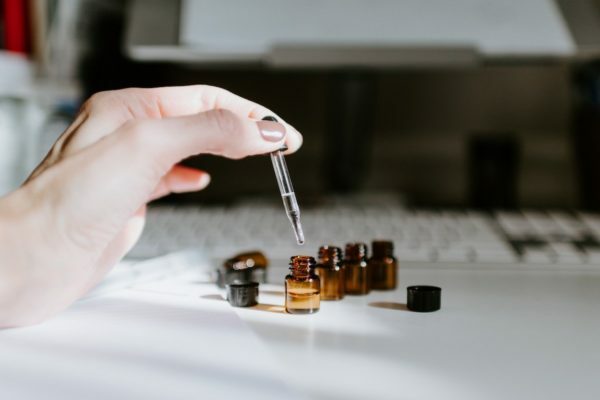 Serums have a higher concentration of ingredients and have a different molecular structure that enables them to penetrate deeper into the skin, thus providing more efficient results— just be sure to pat the product onto the skin versus rubbing it in, as you’ll decrease the effect. Give it a few minutes to completely absorb on its own before adding your moisturizer. In a perfect world, you’d be getting a facial once a month (or at the very least, once a quarter) to get a good deep clean and address your current skin care concerns with a pro. A procedure that can help to improve the appearance of fine lines and wrinkles by helping your skin to rebuild existing collagen and elastin. It’s important that you only receive a peel from a licensed professional as there are several to choose from that vary in strength—you don’t want to get one that’s overly aggressive if your skin can’t tolerate it, so beware of those one-size-fits-all Groupon deals. Seek out organic, herbal, or enzyme peels if you're looking to stay in line with a non-toxic routine. A good peel has the ability to bring a brighter, more even look to your face; reduce the appearance of dullness; firm and tighten your look; minimize the appearance of large pores; and improve the appearance of your skin tone. A popular procedure where a licensed professional uses a sharp scalpel-like razor to remove hairs and dead skin cells from your face. Lasers can address pigmentation issues while increasing the porosity of the skin so your products will work even better. Your 20s were likely a time when you imbibed a bit too much and didn’t get enough sleep. While lack of shuteye may still be an issue in your 30s if you have children, this is really a period where you need to reassess your routine and make some lifestyle changes for the better. Drinking less alcohol and adopting a healthy diet is key for overall health, but also for your skin! No product regimen will be truly effective if you’re not nourishing your skin from the inside out. Alcohol causes puffiness, dryness, breakouts, and hormone and microbiome disruption that can lead to skin issues such as eczema. Drink a minimum of 64 ounces of water daily and consume a diet rich in antioxidant-rich fruits and vegetables, lean proteins, healthy (unsaturated) fats, and whole grains. Be conscious of your sugar intake as too much over time leads to glycation, an action that prompts premature aging. Ample shuteye (seven to eight hours a night) is what’s going to make your skin care routine work to your advantage as it’s during the resting phase that your skin goes into repair mode. Deny yourself of sleep and it will undoubtedly show up in your face. As important as getting enough rest is also thoroughly removing your makeup before applying your anti-aging skin care products.